Whether you are a busy parent juggling work, family and activities, a working executive managing employees, payroll and clients, an athlete training for an upcoming event, a student trying to find a way to fit classes, studying, and working into your schedule or just someone who wants to find more free time in their day, this list is for YOU. We can take money and invest it (and with the right investment) make some more money. But none of us can manufacture more time no matter how good our investment skills are! And even if you are good at managing your time and have incorporated high level time management training into your day, we always can use a few more Ah-Ha! moments. 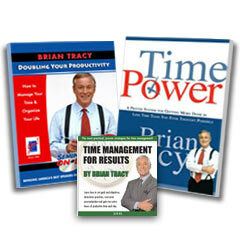 You are about to discover 17 ways to save time and increase your productivity. Because every moment is valuable, it is important that you master these time saving tips. Can you do that all at once? I wouldn’t even dream of trying that! But, just think, if you were to work on one a week, what you would be able to accomplish by the end of 4 months. Why Do You Want to Increase Your Productivity? This may seem like a strange way to start, but I believe one of the greatest motivators to managing your time better is to know why! Ask yourself questions that will determine what it will mean for you to be more productive. What can I accomplish with my extra time? What will extra time mean for my family? How will I feel when I master these techniques? When you are trying to change habits and ingrained actions, your mind will resist and often that is enough for us to say “Forget it, I don’t see the point anyway!” Then we just go back to the same ol’, same ol’. So, determining why you are trying to change and exactly what it will accomplish for you will give you the focus necessary to keep pushing. If you have heard it once, you have heard it a million times, but successful people write down their goals. It is not that there is something magical about having the words on paper, that if you write them down and put them under your pillow, they will mysteriously come true. It is that people who write them down are ALSO more likely to plan the steps to actually get to that destination! Knowing WHERE you want to go is essential when determining HOW to get there. Take a few moments and write down what it is you want to accomplish. Sure, you could write down “own a yacht and mansion along with the staff to run them”, but unless you have a plan to get to that goal, it is just a pipe dream. So, think about what you would really like to accomplish (and that you could actually plan) using these increments: 1 month, 3 months, 6 months, 1 year, 3 years and 5 years. You don’t have to be exhaustive, but write down the things that jump out at you and write all that you think of, putting them into those categories. We all have a zillion things we have to do, day-in and day-out, whether for our family, ourselves, work or other organizations. And all of them HAVE to be done. Or do they? Maybe not! That is why you need to prioritize tasks, putting them in lists and then determine to work through them in that order. Unfortunately what usually happens is that we attack tasks in a random, haphazard order – just doing what is right in front of us or what seems to be the squeakiest wheel OR we do what seems easiest, saving the more difficult items for later. Have you ever ended up exhausted at the end of the day, and you knew you were “busy” but you couldn’t think of one thing you had actually accomplished? It was probably thanks to one of these two approaches! There are some things that must be done everyday that are non-negotiable (such as feeding your family, getting ready for work, answering customer e-mail…etc). And later we will talk about ways to make even these take less time. But what about the items that just end up on our to-do list? We must learn to examine each task, assign it a priority and then doggedly follow our list. First, look at the task and determine if it is one that will move you closer to one of your goals. If not, then it is low priority. If yes, it is assigned a higher priority according to the goal (I use a scale of 1-10, with 1 being the actions that move me closer to the short-term goals). Second, look at your low priority tasks, and ask yourself if these must be done and if so, must they be done by YOU? Look at hints 10, 15 and 16 for more information. In order to really grab hold of your time and wrangle your schedule into one that YOU are managing instead of the other way around, you must know what you are actually occupying your time WITH. This is the most tedious of tasks, but is one that will give the most return on investment. And, on the flip side, if not done, may make all the other ones meaningless. One way to do this is to log down everything you do for a few days, or even better, for a whole week. Keep a notebook with you and, every 30 minutes or so, write down EVERYTHING you have done. Yes, even the stuff that you know you shouldn’t have done! We set ourselves up for failure when we let the to-do list dictate our schedule or just start working through the list from top to bottom. Our personalities, abilities, likes and dislikes will always manage to maneuver us into working on specific tasks, and putting off others. We want to be the ones in control of our day, so we must look at these, then create a schedule that works FOR US rather than one that just happens TO US. Now, go through the “enjoyable” items and ask yourself why do you enjoy those? Are these tasks easy, or you are skilled at them so you like them? Are they challenging and you enjoy the brain “workout”? Or are they comfortable and routine, so you don’t have to think hard? Do the same things for the “avoided” items asking why you put them off? Is it because they are too difficult, or because they are tedious or monotonous? Then, for the things that you just do, but neither like nor dislike, go through and ask yourself if there is something about them you might need to note. When you look at these tasks I will bet you will find that you tend to start your day with the items you enjoy or the ones you “just do” because they are easier to accomplish. This enables you to be “doing” something and feel productive. And you probably will notice that the tasks you avoid are the ones that you feel like you “just don’t have enough time for”, but may just be the very tasks that you need to do to really move you ahead toward your goals. When we are not purposeful in aligning our schedule with our personality, then our day tends to just happen. We do what is easy or comfortable or fun or right in front of us and put off the rest. Knowing yourself, what you are skilled at and what you find difficult, what you enjoy and what you dislike, will enable you to arrange your schedule in a way that works for YOU. Keep reading to actually use this information to determine the one you will use. When I looked at the tasks I typically avoided, I found that writing articles was at the top of my list. And, I realized, the reason I avoided it is that it took to long because I didn’t feel like I was very good at it. But this is a task that I knew I needed to do because it is a major cog in my system. So, I asked myself “what would make it easier and, ultimately, more enjoyable”? And the answer was that I wanted to be better at it and be able to do it in a predictable amount of time. I wanted to be able to write a 4-500 article in 20 minutes. Then I could write 5 in an hour and have 5 money-making tasks done and over with – out working for me. I decided I would actually enjoy it if I could learn that skill. So, I looked for training that would help me accomplish that goal and invested the time to learn how to do that. Is there something that you can learn that will help you be more productive, shave time off of tasks you already do or make current tasks easier? Then take the time to learn that new skill. Again, you must know yourself! There are distractions that are common to all of us such as incoming phone calls and e-mail, questions from co-workers, and the paperwork that covers your desk. But what are the distractions unique to you and your circumstances? What tends to pull you away from your work or catch your attention during the day? If you work at home, are you likely to spend 30 minutes picking up toys because you saw them on the way to the bathroom? Or do you look out the window and see all the work that needs to be done and spend your time mentally arranging your “honey-do” list? Are you easily sent off course when you think of something that needs to be done, so that you will immediately set off to find the person to do it? Do you get visually distracted by seeing the mess on a co-workers desk or are you easily distracted by the noise of your neighbor’s yard crew? Do you need to disconnect? Turn off the tv, radio, your e-mail, IM system, pager…….etc. Unless you are a doctor on call, it probably CAN wait for an hour. NO ONE is that necessary. (And if you really ARE, you have created a dependency that must be changed. Find people that you can train to handle situations the way you would). 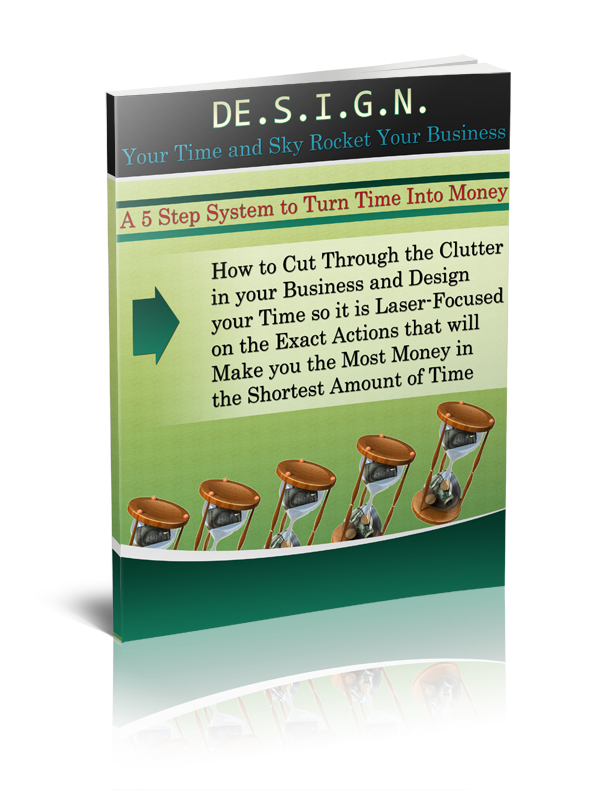 When you have tracked your time, you are going to uncover these time wasters. Now, you must determine to change the way you handle them. If you have trouble eliminating them, keep reading and implement the rest of these ideas. What are the tasks that put the dollars on your bottom line? If you work for yourself, this is anything that causes someone to pay you. If you do not, it is the task at the top of your evaluation form when you are up for a raise. And, possibly, if you were really honest with yourself, these may even be the same tasks that we found we avoided when we took a look at our likes/dislikes. Put these money-making tasks at the top of your to-do list. Do them first thing in the day and set that time up like an unbreakable appointment. Then protect that time like a mama bear protects her cubs – ferociously and doggedly. No one, (not even you) should be allowed to break that appointment. Train other people to NOT EXPECT to hear from you during that time. You do not connect at that time. If we would spend one, uninterrupted, productive hour a day doing a task that makes us money, we would accomplish 5 tasks a week, 20 a month and 240 a year. These are tasks that we KNOW will get done. Then, just think what 2 hours would produce! We all have a time of day that we work best. For most of us, it is early or mid- morning. But, unfortunately, that is often the time we actually spend cleaning up the leftovers from the day before, answering messages, questions, emails and generally “getting organized” for the rest of the day. This leaves us trying to do our actual work after frantically putting out other people’s fires or, even worse, after lunch when we would rather be napping. And we wonder why we just can’t seem to get anything accomplished? This hint goes along with 7 and 8. Figure out your most alert, creative, energetic time of day and make that your appointment. For some, it may be the time after everyone goes to bed and the house is quiet and others may like it at the crack of dawn. Whatever time you feel most alert, block it out and tell everyone that time is “off limits”. Train yourself to schedule that time to the minute. Create a schedule the night before. Then stick with it – even if you have not finished what you started, when the time is up, stop. Another hint – you will always fill the time given. So eventually, you will begin to work within your schedule because you will have trained yourself to work within the allotted time. Train others to respect that time. Do not answer anything. If someone walks in, politely smile and say “I have an appointment, I will get with you at ___ and give them a time”. If you have an assistant, train them to tell people the same thing. If you have rearranged your day with the most productive at the beginning of the day, you need time where you can do the mundane – answering mail, making appointments, writing correspondence etc. We often try to start our day with these tasks because we just “want them out of the way” or because they seem easy to tackle. Then, before we know it, several hours have passed and we are making plans for lunch. Set aside 30 minutes or an hour at the end of the day. Make this the time to take care of these tasks. Keep a running list during the day of things that pop into your mind to be done. Then, during that time, do only those items on the list. Don’t surf the internet for information (unless that really is your scheduled task) or open email that is not relevant. You know that you should schedule your “appointment” work time, setting aside specific amounts of time to do each task. And the best way of keeping track of that time is to use a timer. Now, if you set your timer for too long and have an open-ended task, you will still become distracted. So the best way to handle your time is to schedule your activities in short blocks of time. Have you ever sat down to do research on the computer and found yourself still wandering around the search engine an hour later? Well, the same thing will happen if you do not direct yourself with laser-like focus. Break bigger tasks into shorter lists of items to be done. Then set the timer and work 100% on one task. Give your full attention and focus for that short amount of time. Take a 2 minute break when the timer goes off and then do it again until you finish each of the tasks or until your appointment is up. Don’t worry if you are not good at estimating the time it will take. A couple of things will happen as you do this exercise: 1. You will begin to know exactly how long it will take and 2. You will become faster at them. No, this is not about multi-tasking – though there are several things to be said about that topic. Sure, there are things that can be done together, and plenty of people who brag about their ability to multi-task their way to productivity, but I am not sure I believe them. Besides when your money is on the line, is it really that important that you be able to brag about your ability to juggle? Let’s just learn how to be productive and save juggling for a hobby. This, however, is about blocking time for a particular task. I have found I am most productive when I know that I am going to be working on a specific task for a pre-determined amount of time. For example, if I know that on Friday morning for 2 hours I will be writing then I will schedule all of my writing for that time instead of trying to get it done here and there through the week. Another example is to schedule a specific time of day that you return phone calls. This enables you to accomplish several things. You are not at the beck and call of the phone. People will learn to leave you a message and know that they will hear back from you during that hour. You can focus intently on answering those questions, or dealing with those problems, because that is what you are doing at that time and you aren’t distracted. But, when it comes to your money-making activities, focus exclusively on them at one time and your productivity will soar. If we were not, we probably wouldn’t care about this topic anyway, we would just punch our clock, do the least amount required and go home to our tv. And while I grew up hearing “If it is worth doing, it is worth doing right!”, I think I misinterpreted that to mean ‘it is worth doing perfectly’. Right, does not have to mean perfect. Done out-trumps perfect every time when it comes to getting paid. Am I suggesting that you not do your very best? Heavens, NO! BUT, ask yourself if you really needed to spend that hour putting the perfect touches on it and making sure it was “just right”? Or if you were just being a perfectionist. Could you have been done and on another money-making task quicker if you changed your thinking to “Good enough is fine”? Or, how about “Done and paid is better than perfect”? My husband can work in total chaos. In fact, he likes for the piles to stay right where they are because he made them and knows what is in them. His desk is absolutely covered with paper, several stacks 10-12 inches deep because he likes to keep his open projects in front of him. So, until they are complete, they are right in front of him. I, on the other hand, cannot stand to have clutter around me when I work. He can just push something over and with a clear spot, work on his project and if I have clutter, I am simmering because I need my workspace to be visually clear. However, I also need my projects to be easily accessible and visible. Otherwise, I might forget them (like if I just filed it away). So my projects are in clear, plastic bins and labeled with the mind-map of the project so I can see at a glance what my next step is. Each of us (you included) has our own peculiarities when it comes to how we work best. So, instead of just saying “get your workspace organized” and telling you to get cute file folders and colorful baskets, I am saying “get your workspace organized” and telling you to figure out what will work for YOU. Then, if cute stuff works, go get it. But, determine to develop an organization system that works for YOU. Then, stick with it. We all have tasks that we do over and over and many of them may need to be done exactly the same way each time. This is where systems come in. Think about some common professions that have systems. Accountants have specific forms, that are filled out in exactly the same way each time but with different numbers. They fill the same form out the same way each time. Surgeons go into a surgery knowing exactly where they will cut and which tools they will need. They do the same surgery in much the same way each time. You can do something similar by developing a template, a flowchart,and the particular outcome you should expect. When you develop systems for each of your tasks, it accomplishes several things. One, if it is an activity that is done often but not daily, then you do not have to refresh yourself each time, you just look at the system and follow it. And two, you are able to give it to someone else and THEY can reach the same outcome that you would have. Leading to the next tip. If you really don’t have anyone that is capable of doing things to your satisfaction, then you might have another problem. Either, you work with incapable people or you are too picky. The only way to truly become more productive is to leverage your time by using other people’s time. Then, you can focus on the tasks that make you money – the tasks that only you should be doing. Look at what you do. Either from when you tracked your time or listed your activities – look at the things that occupy your time. What of those, can other people do, especially if you gave them the system (see hint 15)? If you work for yourself, you might be saying “but I don’t have anyone to give it to”. If you cannot find the money to outsource right now, you need to get creative. Employ your kids to file or do research on the computer. Find a local college kid that would do graphic design for the cost of a pizza and your good words on their resume. This is a funny time management tip. But if you would determine what pushes your buttons, you can use that to, well, push. Are you motivated by rewards? Or by the threat of punishment (or loss)? Then give someone $100 (or an amount that would be uncomfortable – but not devastating – to loose). Then tell them, that if you can keep your goal by a certain date, then you want that money back. Otherwise, you can let them keep it or designate that it goes to a charity. Do you like a challenge? Or are you motivated by competition? Then find a partner or a team to create a competitive challenge. Do you need accountability? Again, a partner or team might be the way to go. You can keep each other posted of your goals and then you know that the other(s) will be checking on your progress. Finally, a coach might be what you need. A good athlete with all the talent and knowledge in the world would still never think of attempting their sport without a coach. Need a coach? Click here to email me and ask about my availability. I only take a limited number of one-on-one clients.